Trope courses. Expanded resources. With or without Studio recorded yearly cycle. The Trope courses feature studio recorded male and female voices in four keys, a new spoken practice for the Haftarah blessings, and many other enhancements to the previous version. The elegant tikun with the studio recorded yearly cycle complete this product as a course that will aid in building a cadre of Torah and Haftarah readers, and will inspire all students. Option for Trope courses with single Parasha is available for schools. Compatible with all current Windows OS. Course alone with a choice of male and female Studio recordings in 4 keys. Engaging games, interactive puzzles, quizzes, and ear training, together with rich resources provide inspiring memories and lifelong skills. View Demo Are your speakers on? Melodies: Lita and Avery Binder together with Hebrew text reading. Separate versions for Reform and Traditional services. 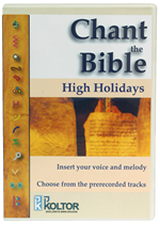 Chant the Bible software course teaches Bar/Bat Mitzvah students or learners of all ages who aspire to acquire the skill of chanting Torah and Haftarah. Students study at their own pace, progress is verified through exercises and ear tests. Engaging games, interactive puzzles, quizzes and interspersed humor provide inspiring memories and lifelong skills. Rich resources, including an elegant Tikun with studio recordings of the yearly cycle are included. The recorded Tikun contains choices to suit various customs and all denominations. The delighted student will be well versed and confident, ready to proudly stand in front of the congregation and Chant the Bible. Chant the Bible is fully compatible with all current Windows operating systems. Please note that various resources and free practices such as: Haftarah blessings, Ma nishtana, Chanukah medley and others are available from the Other Resources link here, or always from the Other Resources link on the bottom bar. Company | Site Map | Privacy and Security | Contact Us | Send Feedback | Other Resources |© KOLTOR™ CORP.